Toolcraft has manufactured precision parts made from metal and plastic for 27 years. During this time, the company has consistently invested in expanding its production technologies and in its machine park. Since moving locations in 2000, two additional halls have been added, with a third already being planned. Now the company has secured extra site space for the future expansion of production plants. The company's relocation to its Handelsstraße site proved to be an excellent move for the future. Since 2000, the production floor has grown from an initial 2000 m² to over 10,500 m². The 2005 acquisition of Spalter Feinwerktechnik (previously known as Trix) also played an important role in expanding capacity. In addition to other processes, automated tool and mould making is performed at this location today. In 2012, the injection moulding department moved to Georgensgmünd in order to take advantage of additional growth potential. The construction of a third hall will now expand production capacity in Georgensgmünd by 2400 m². The creation of a metal-laser melting centre as well as office space and a cafeteria are planned for the location. The acquisition of the large site area translates into an additional 27,000 m², which will enable further construction activities to take place in the future. Steadily increasing demand has made additional expansion necessary. 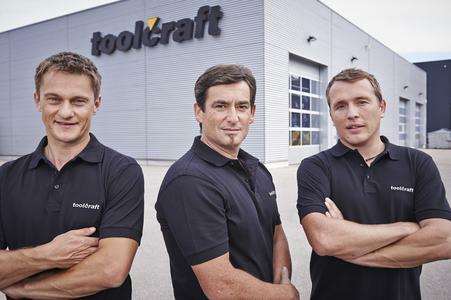 Toolcraft exports nearly one-third of its products abroad to countries like Switzerland, the UK, the United States, Singapore and South Africa. This share will continue to grow in the coming years. To ensure a presence in the Asian market, the company established a facility in Singapore at the end of 2015. The location is due to be used for plastic parts production, surfaces coating, as well as the assembly of complete units. The parts will be specially produced to meet the needs of the Asian market. The aim of opening an additional facility is to reduce the need for wasteful and costly logistics activities and in turn to safeguard jobs in both Georgensgmünd and Spalt. Toolcraft's willingness to invest was first demonstrated in 2011 with the expansion of the product portfolio to include laser-melted precision parts. Since then, the machine park has been consistently expanded, most recently in 2015 with the addition of a fifth metal-laser melting plant. The M2 multilaser features an innovative laser system. Two 400 W lasers are now used instead of one, significantly increasing the output compared to previous models. The quality of results achieved is convincing and stringent enough to satisfy the demands of aerospace applications. As a result, toolcraft signed a cooperative agreement with Premium AEROTEC, the leading partner for the use of this technology in aeroplane manufacturing. 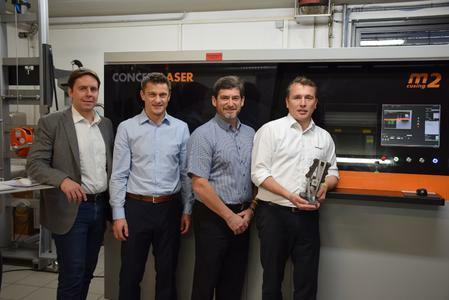 The rapid industrialisation of laser melting for use in aerospace applications and toolcraft's expertise in the supply of laser-melted parts to Premium AEROTEC are the main focuses of this expanded cooperation. 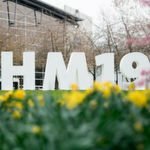 As of this year, tiny plastic parts will be created in an environmentally responsible manner with an electric injection-moulding machine. This machine has been demonstrated to consume 50-70 percent less energy than conventional machines. 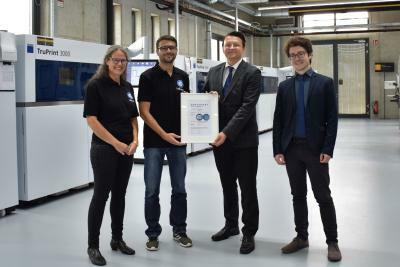 Due to the high demand for turning and milling parts, the company has invested in a second turning/milling centre as well as a unique automated solution. Unlike conventional automation, a robot moves across a portal above the machine. This allows the robot to load the machine from above via a loading hatch. The construction not only saves space, but also guarantees versatile processing. Originating from the field of engineering, robotics technology has established itself as an independent area in the past few years. Robotics technology has a long history of development. At first the technology was primarily used in the automotive industry; however, robots can now be found in almost every sector. Toolcraft manufactures universally applicable robotic solutions for everything from the building of plants and construction to software. Its long-term cooperation with the software company unicam is particularly valuable here. As part of a significant customer project, the company invested in a robotics line as well as in five additional milling machines. "Thinking big. This is a concept which is as true today as it was in 1989 when we began our journey with only one machine," recalls Bernd Krebs, managing director and founder of toolcraft. The acquisition of additional site space will enable future expansion. In spite of the company's current size, the managing director remains committed to preserving the informal working atmosphere. The expansion of the production site will create both new apprenticeships and additional jobs for the region. The company will need the support of robotics and CNC technology experts, software developers, electronics engineers, as well as motivated apprentices. 40-50 new apprenticeships will be created in the future, with the company looking to invest in young employees from the region. The goal is to provide each hired employee with a permanent contract and to help young professionals to develop according to their strengths by providing a comprehensive training and continuing education programme.